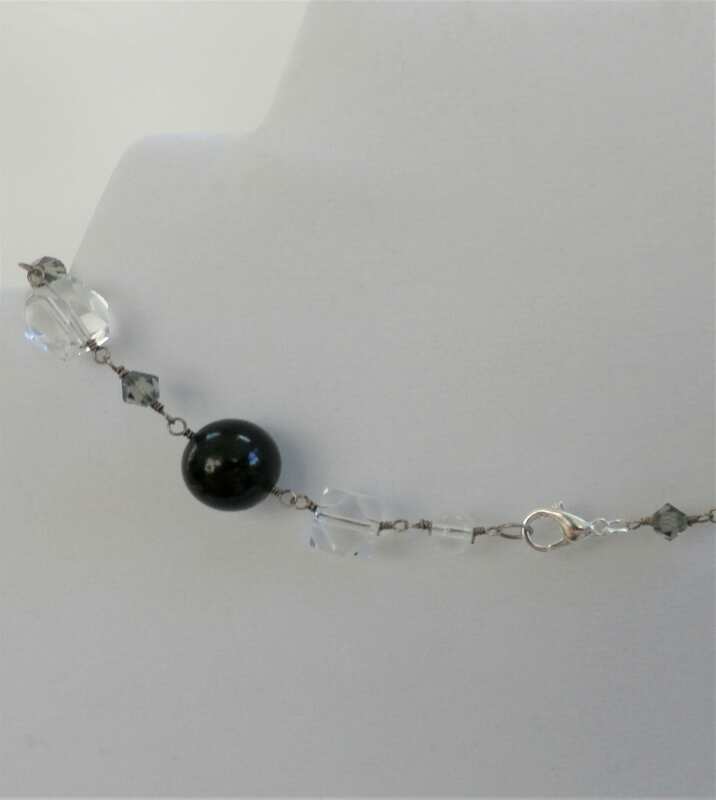 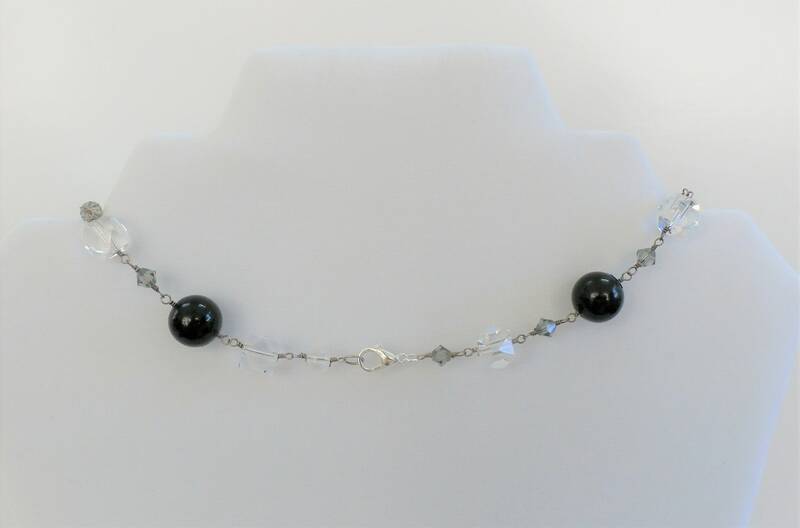 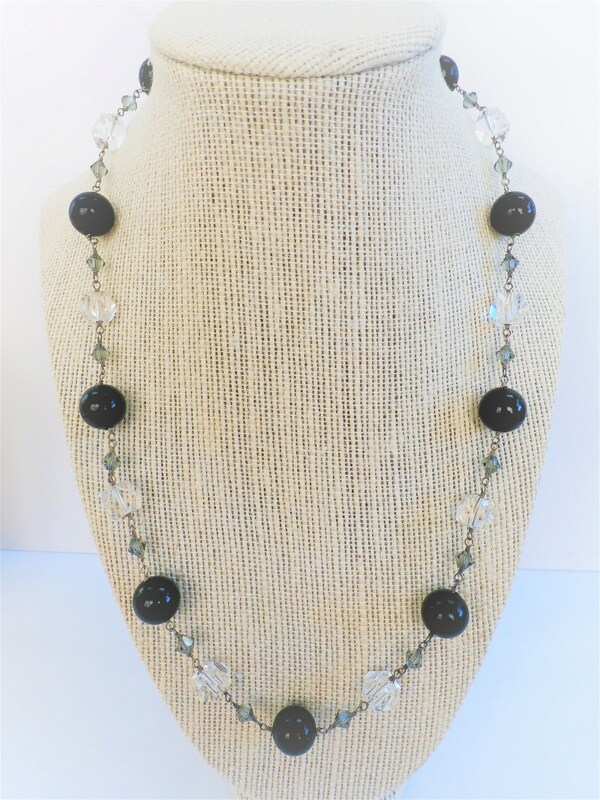 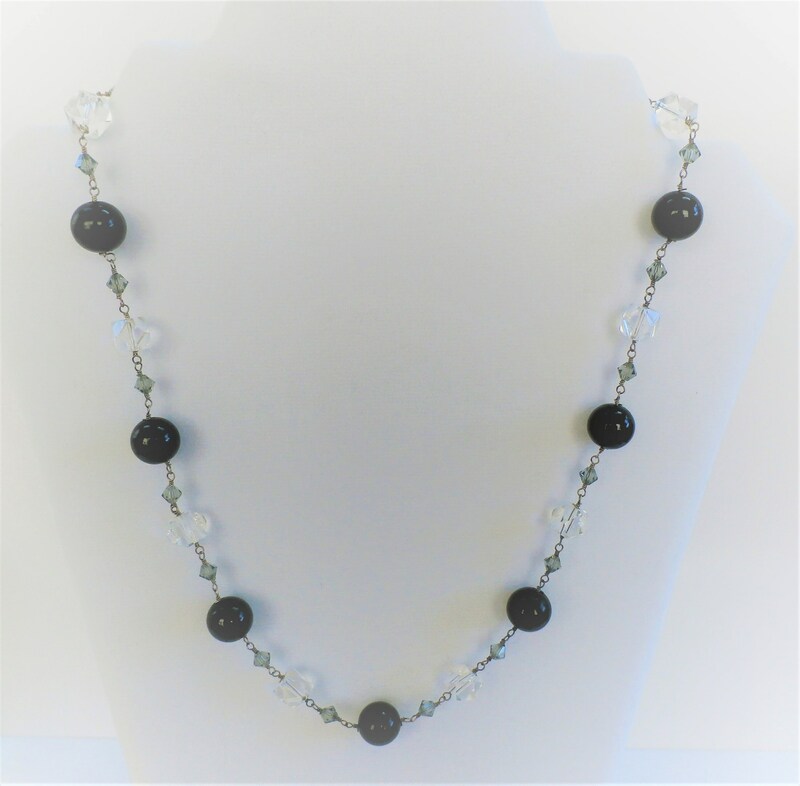 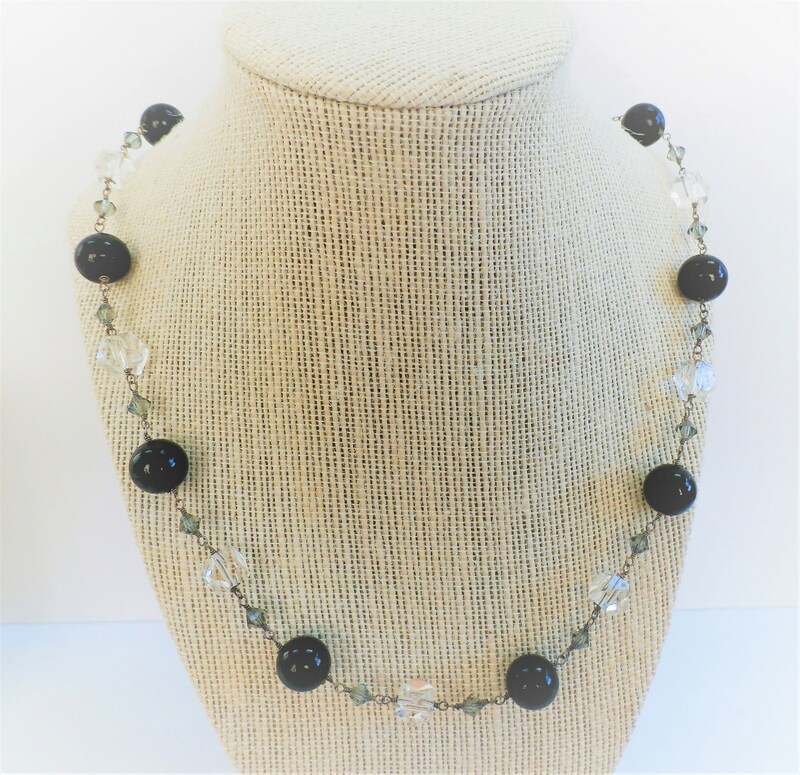 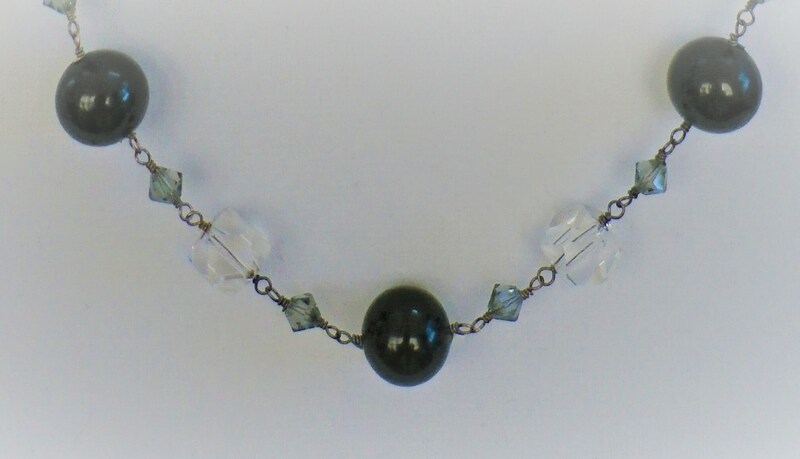 20" Antique Hand-wired Large Faceted Crystal and 12 mm Onyx Ball Necklace, with grey small faceted crystals, silver lobster clasp. Stunning vintage crystals, and onyx balls, I had one long strand and its was heavy, so I made 2 modern lengths. 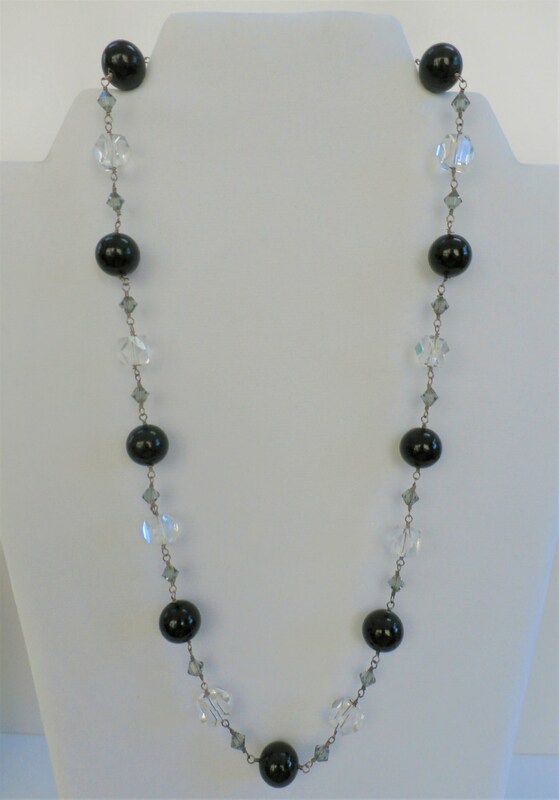 Buy 2 and double up if desired.